Lets ‘do breakfast’ everyday. Can you imagine how nice that would be, no rushing around, being manic and instead spending every breakfast like it was a Saturday…sounds bliss. Unfortunately, most of us have to work and be places usually at the crack of dawn but what better way to start your day than with a chocolate blast…a healthy one of course! Chocolate porridge isn’t something you really come across and I know it may take a while to ‘sell’ the idea of chocolate porridge to some people. I say don’t knock it until you have tried it! 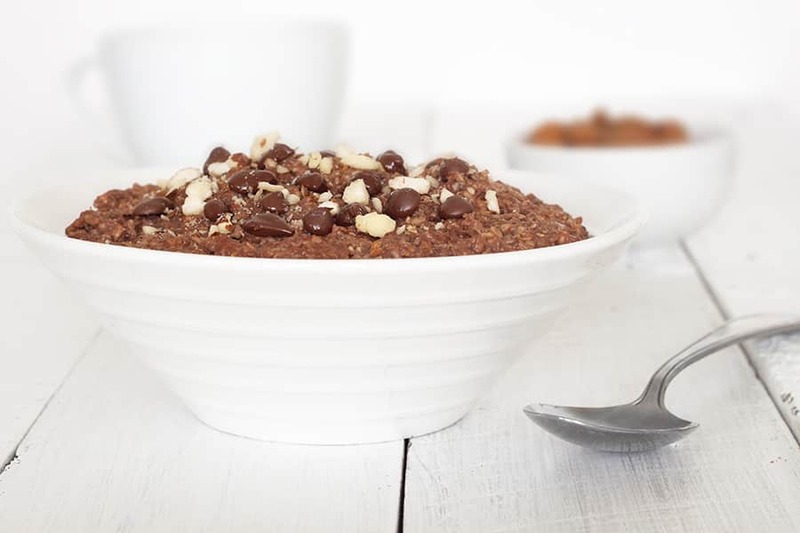 At the moment I seem to be making this healthy chocolate porridge recipe nearly every morning and it is becoming a slight obsession of mine (alongside my buckwheat salad obsession, and coconut coffees mmmm). It takes a few minutes to whip up, fills you up till lunch and keeps those sweet tooth cravings satisfied. Like lots of other bloggers and bakers I have been experimenting with healthier, alternative baking products and have been really pleased with coconut nectar and coconut oil. But one thing that I really did not expect to be so good is the raw cacao powder. Having tried cacao nibs and not being a huge fan I have been a little cautious about buying the power. I have been pleasantly surprised. I find the raw cacao powder gives so much more of a rich chocolatey flavour than cocoa powder. I have used it so far in brownies, cake and porridge and even my partner can tell the difference. The best thing is it is unprocessed and super good for you. Amazing. I’ve also used the popular Chia seed in this porridge recipe. A little seed that is tasteless (great for fussy eaters), packed with omega 3, fibre and protein, I can see why these super seeds are such a hit. 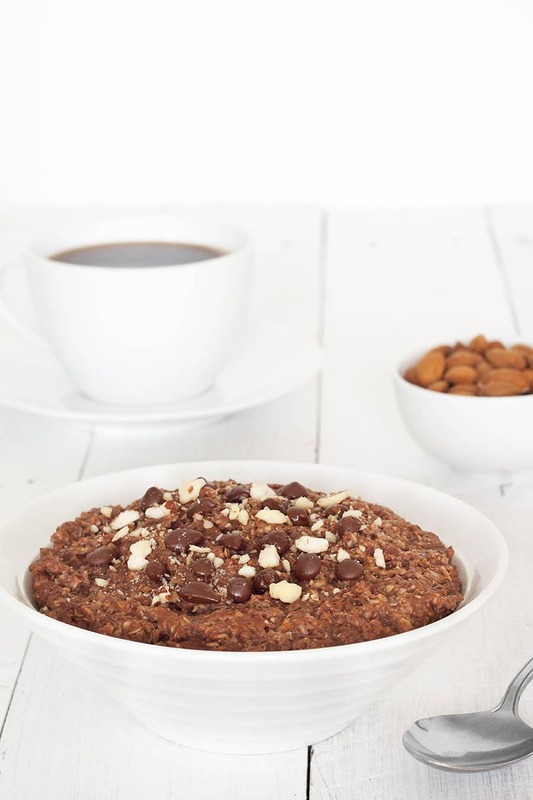 A great way to add a little more nutrition into your regular porridge. If you fancy giving any of these alternative products a go for yourself just click on the links. In a pan on the hob cook the sliced banana in the coconut oil on a low heat. Keep mashing the banana so you get rid as many lumps as you can. Cook for around 2 minutes or until it's softened. Add the oats, chia seeds and water. Stir through. Add the cacao powder, stir and cook the porridge through for around 3 minutes until it has formed your desired consistency. Remember to stir every now and again to prevent burning. Pour your steaming, creamy porridge into you bowl and sprinkle with almonds and chocolate drops. It doesn’t sound quite right but with the sweetness of the banana, I just can’t resist it!